The average private school tuition in Pennsylvania is approximately $11,168 per year (2018-19). The private elementary school average is $7,932 per year and the private high school average is $15,226 per year. The private school with the highest tuition in Pennsylvania is Perkiomen School, with a tuition of $62,300. The private school with the lowest tuition is Grace Academy, with a tuition of $1,170. 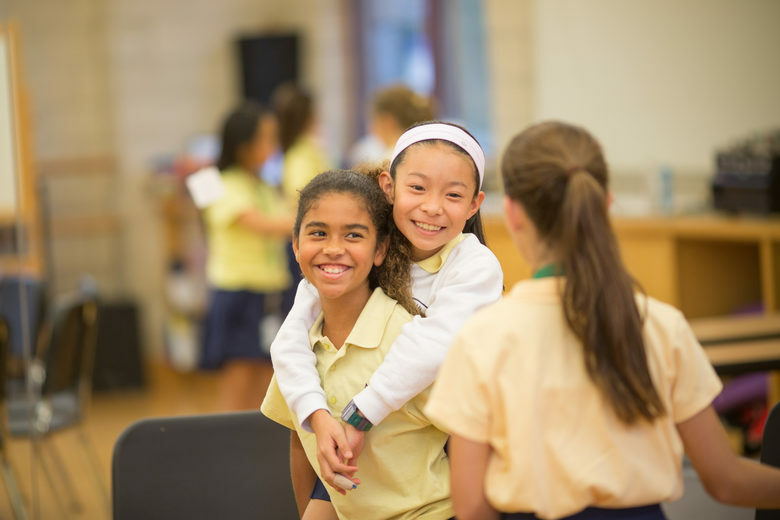 The Waldorf School of Philadelphia Photo - The Waldorf School of Philadelphia is a nursery through 8th grade school located in the heart of Germantown. We are a school that adheres to a unique and time-tested curriculum and our students are free to learn without the pressure and stress of standardized testing. The Haverford School Photo - The Haverford brotherhood is evident from our boys' first days. Here, Upper School language students teach pre-kindergarten boys to write and speak the numbers 1-5 in Chinese. Providence Heights Alpha School Photo - School Building. 40 acre campus. International Christian High School Photo - International Christian High School Graduation at Cairn University. St. Aloysius Academy Photo - St. Aloysius Academy, sponsored by the Sisters, Servants of the Immaculate Heart of Mary, instills a spirit of love, creative hope and fidelity. In the spirit of our Jesuit patron, the boys live the Magis - they are men for others. They participate in daily prayer, the Angelus, monthly Mass, Rosary Walk, Live Nativity and Live Stations of the Cross. Gladwyne Montessori Photo - 3rd year primary student gives a lesson to a 2nd year primary student using the iconic pink tower, specifically designed for children to learn about space, size, and comparison in a concrete manner. Delaware Valley Friends School Photo - Delaware Valley Friends School is a national leader in the field of educating students (grades 3-12) with dyslexia, dysgraphia, executive function disorders, ADHD, and other learning differences located in the Philadelphia area. Gwynedd-mercy Academy Elementary Photo - Gwynedd-Mercy Academy has kept pace with developing technology by equipping our classrooms, library and computer lab with interactive whiteboards, wireless Internet and Microsoft Surface tablets, iPads and computer work stations. Full-time Directors of Informational Technology and Educational Technology support technology integration in innovative curriculum. Sacred Heart School Photo - Students enjoy our new STEM lab with Promethean technology and 1:1 chrome books! Middle school students have a double period STEM block every week.